New features match top detection with increased efficiency. Computer memory requirements for the new antivirus and antispyware engine have been cut in half. New features match top detection with increased efficiency. Computer memory requirements for the new antivirus and antispyware engine have been cut in half. Scanning is 40 percent faster, saving both time and computer resources. Complete rootkit protection includes real-time detection to ward off initial installation, on-demand scanning and boot-time scans. The user friendly Avast home has a new interface with easy-to-adjust settings, a context-sensitive help menu and graphs showing ongoing protection activities. 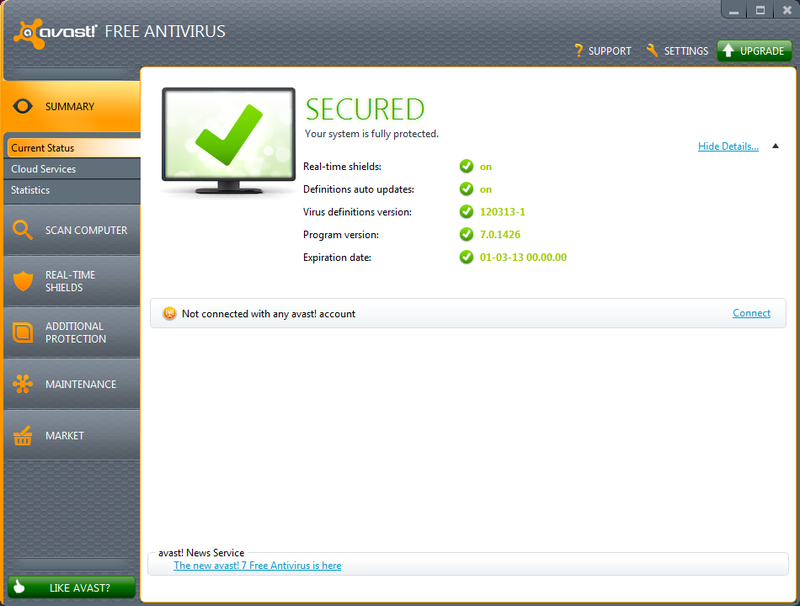 Users can set the time and conditions for complete scans, with avast even waking up their computer from hibernation for midnight scans before putting it back to bed. Multiple shields prevent the spread of malware via email by checking incoming and outgoing emails for suspect content, identify malware by its anticipated behavior or by looking out for unusual activity and attempts at system modifications. 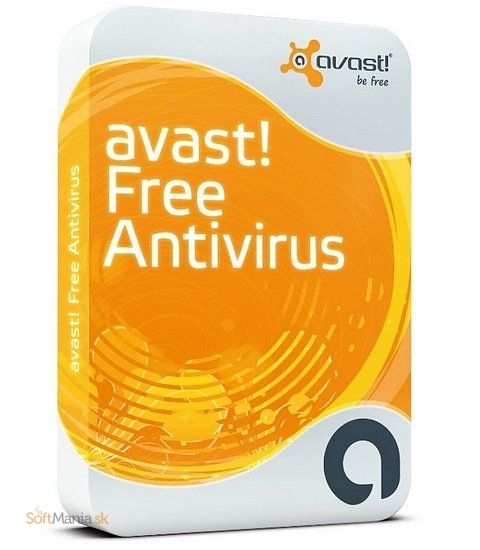 Avast Antivirus Home Edition is free to use but requires e-mail registration before the end of the initial 60-day trial period. Following the registration you will receive by e-mail a license key valid for a period of 1 year. When a suspicious executable is encountered (during both on-demand and on-access scanning), avast! is able to emulate the program’s code in an isolated environment. The code emulator is used for two purposes. First, it is used for generic unpacking. Secondly, it is used in the heuristics engine. Technically, this is done using dynamic translation, a method much faster than traditional emulation techniques. Allows you to scan your computer for infections before the operating system has started and before a virus can be activated (32-bit operating systems only). Enables you to run a scan directly from the command line. Microsoft Windows is woken from sleep or hibernation mode, performs a scheduled scan, then returns back to sleep mode. Allows users to define the scan time and files to be scanned. Can reduce the number of required file scans by up to 80% through a white list of proven safe applications. Files identified as safe are not rescanned unless they change. All avast! Home Edition reviews, submitted ratings and written comments become the sole property of Windows 7 download. You acknowledge that you, not windows7download, are responsible for the contents of your submission. However, windows7download reserves the right to remove or refuse to post any submission for any reason. Windows 7 Download periodically updates pricing and software information of avast! Home Edition full version from the publisher, but some information may be out-of-date. You should confirm all information. Using warez version, crack, warez passwords, patches, serial numbers, registration codes, key generator, pirate key, keymaker or keygen for avast! Home Edition license key is illegal and prevent future development of avast! Home Edition. Download links are directly from our mirrors or publisher's website, avast! Home Edition torrent or shared files from free file sharing and free upload services, including Rapidshare, MegaUpload, YouSendIt, SendSpace, DepositFiles, DivShare, HellShare, HotFile, FileServe or MediaFire, are not used.